Toss the takeout menu and stir-fry your own delicious dinner with our best classic pepper steak recipes and spin-off ideas. 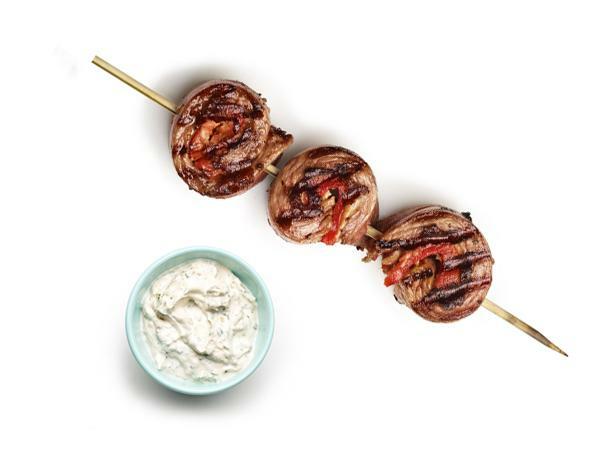 Try a new twist on pepper steak with Sandra's easy skewers and spicy yogurt sauce. In this Good Eats video, watch as Alton Brown explains how to cook this French cuisine inspired dish. He notes that the keys to successfully sautéing pepper steak in pan sauce are time and temperature. Alton proceeds to show how to achieve the best flavor using several factors. Two of these factors are adequate spacing between each cut of meat and a deglazing method that allows each cut to envelope the richness of the bed of heavy cream sauce it resides in. This coffee-rubbed steak may be simple but the end result is delectable. Recipe | Courtesy of American National CattleWomen, Inc.